To honor Martin Luther King, Jr. many schools have are in recess today. So, there is no better time than to engage the children in activities and age-appropriate discussions about the civil rights movement in American history. You will need: brown eggs, white eggs, and a bowl. 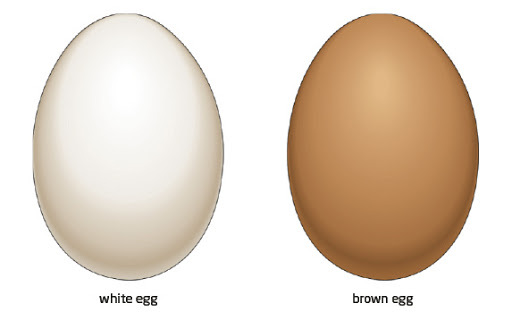 Hand each child a brown egg and a white egg. Have them observe the difference between the two eggs. Allow the children to crack the eggs into the bowl. Have the children observe the eggs after being cracked. While the eggs were different colors on the outside, they are the same on the inside, just like people. Then use the eggs in the cake or cupcakes for the birthday party described below. You will need: red, white and blue colored balloons, streamers, party favors, a cake or cupcakes, and red, white and blue candles. Have a Martin Luther King, Jr. birthday party to celebrate the works of this great man. Let the children hang balloons and streamers to decorate the house or playroom. Bake a cake and use inexpensive party favors to enjoy the party. You will need: red, white and blue beads, construction paper, scissors, hole-punch, and yarn. Cut out construction paper hearts and punch a hole in the center using a hole-punch. String the red, white and blue beads and construction paper hearts onto a piece of yarn that is about six-inches in length. Tie the ends of yarn together making a bracelet. You will need: small white paper plates, scissors, pencil, glue or stapler. Doves symbolize peace. Draw a line down the middle of small white paper plates. On one half draw a second perpendicular line to the first line. Cut along the lines. The small sections form the dove wings and tail. The larger section is the dove’s body. After the children cut and glue the dove, attach it to a headbands. If you do not have a headband you can make one with heavy weight paper. Simply measure the circumference of the child’s head with a tape measure and cut a two- to three-inch strip of heavy weight paper about an inch larger than the length of the child’s head. Staple the ends together to make a headband. Dr. King had a dream for p-e-a-c-e.
Who came from Atlanta Georgia. For all men to be equal. Freedom, freedom, let it ring. Let us live in harmony. Peace and love for you and me. Freedom, freedom let it ring. Click here to see our recommendations for children’s books about Martin Luther King Jr. Day.